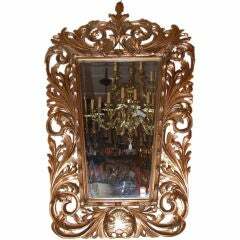 Hollywood Regency Baroque style mirror with spectacular ornate leaf frame. 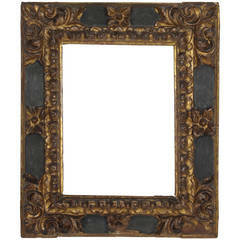 Antiqued gold leaf finish over molded resin frame with scrolled designs. 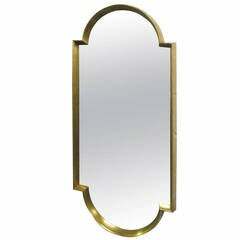 Inner frame features scalloped carved wood and large hand-bevelled glass mirror. Minimal wear consistent with age. 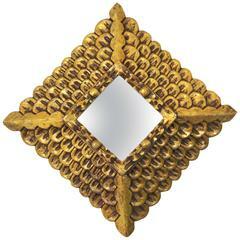 This mirror plate is of tapering rectangular shape and is enclosed by a frame vigourously carved with acanthus.